You know that's a stock image right? Won't be able to make in multiple poses. FOR CLARIFICATION. This needs to look like a cartoon character. No a line drawing or logo. 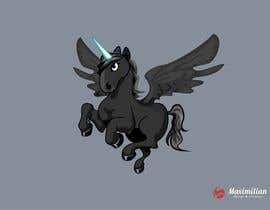 IT needs to have both a horn on it's head for a unicorn and wings for a pegasus. It needs to have more detail than some of the entries, but less detail than other entries. Look how I'm rating the entries and you will get an idea of what I'm looking for. 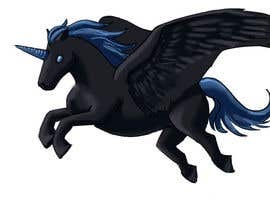 The flying unicorn either needs to be white or black in color as it's main color, but of course other colors will still need to be used as it is a full color representation. 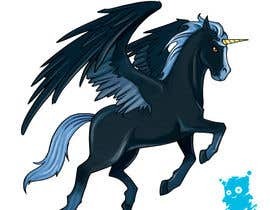 However, this is a boys flying unicorn so no pinks or rainbow colors or a "girly" looking flying unicorn. Thanks! Hi please check #12 , thanks. Hey, any comment about #18 ? dear sir your attached file is not opening....please do something. innovationnweb have you tried opening it again. Most people are not having a problem opening it. Hello Sir can i still provide my proposal? Please reply. Yes, but this is a contest. We're not looking for proposals. The best design wins the contest. AlisanKalfa image is now working and can be downloaded. Thanks! Yes, freelancer is working on it now. I'm in support chat right now. Thanks! Hi, can you reupload the file again please ?